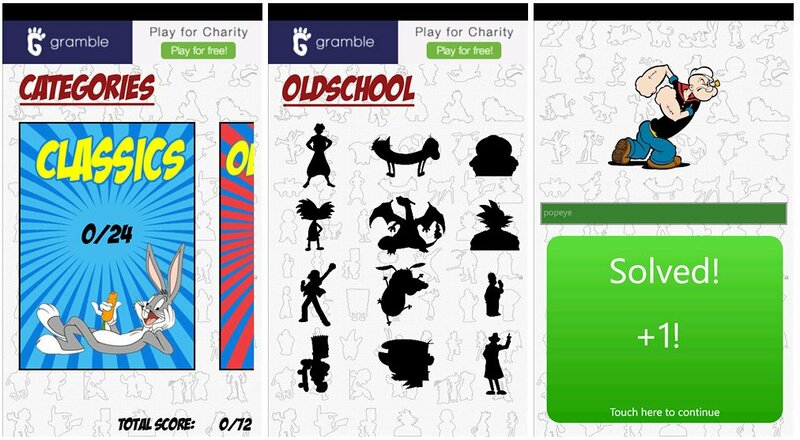 Ultimate Cartoon Quiz is a trivia game for your Windows Phone that is designed much like Logoarama. With the Logoarama you're given a brand logo and you have to identify the associated product. With Ultimate Cartoon Quiz you are given a silhouette of a cartoon character and you have to name that character. Ultimate Cartoon Quiz is a decent trivia game just a little short lived. Ultimate Cartoon Quiz has seventy two characters to identify, spread across three categories. You have Classics that include Pop-Eye, Mickey Mouse and Bugs Bunny. The Old School category touches on characters such as Bart Simpson, various Pokemon, and Johnny Bravo. The New School category touches on SpongeBob Squarepants and Buzz Lightyear. If you type in the name of the character correctly, the silhouette is filled in and you earn a point. Spelling counts and naming the cartoon won't cut it. You have to name the character. There is a fourth category listed as "Coming Soon" and that might help the only downside to Ultimate Cartoon Quiz. It's a quick game to complete. I have to admit some of the new school characters were somewhat challenging to identify. 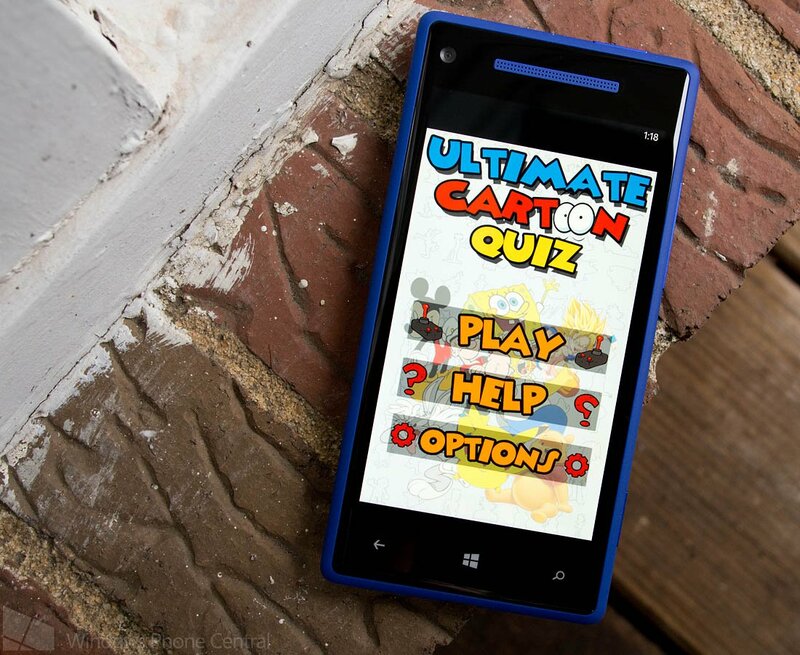 The Ultimate Cartoon Quiz is a free app for your Windows Phone that you can find here at the Windows Phone Store.